Welcome to another edition of Mastication Monologues! I just keep on chugging along on here churning out one great review after another. In fact, I just recently passed my 200th post on my blog, so if this is your first time coming to my page, check it out here. It showcases the variety of cultures and native dishes I’ve sampled throughout the years and my travels. I hope you enjoy it. 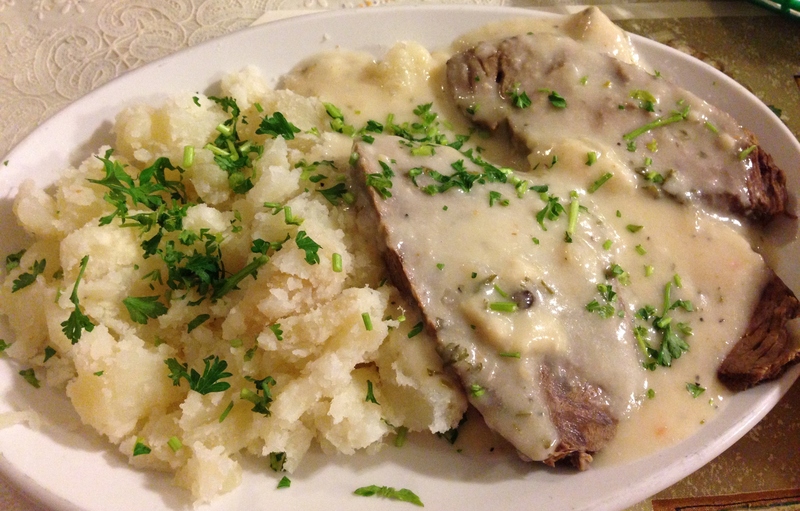 Today’s post hits a little closer to home culturally since I’m going to be talking about Polish food. Chicago occupies a special place in Polish history given that it has long been a hub for Polish immigrants coming to America due to the need for cheap labor in the Union Stockyards starting in the latter half of the 19th Century. So many immigrants ended up coming to my hometown that it now has more people of Polish descent than the Polish capital of Warsaw. I am one of those people of Polish descent, and my family enjoys many aspects of the culture from the music to the food. I’ve been trying to learn more Polish, but I have a long way to go to master the extremely difficult language that seems to be an alphabet soup with special vowels and an avalanche of consonants rammed together. However, it doesn’t take much to love the cuisine. 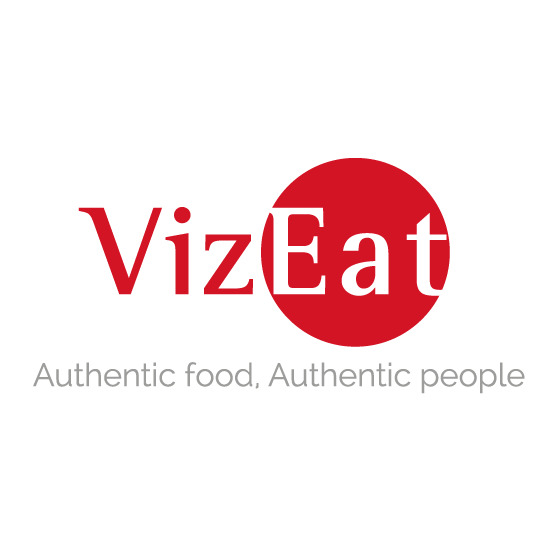 I can only describe it as a mix between German and Russian food with some Polish ingenuity and heartiness to endure very hard times. 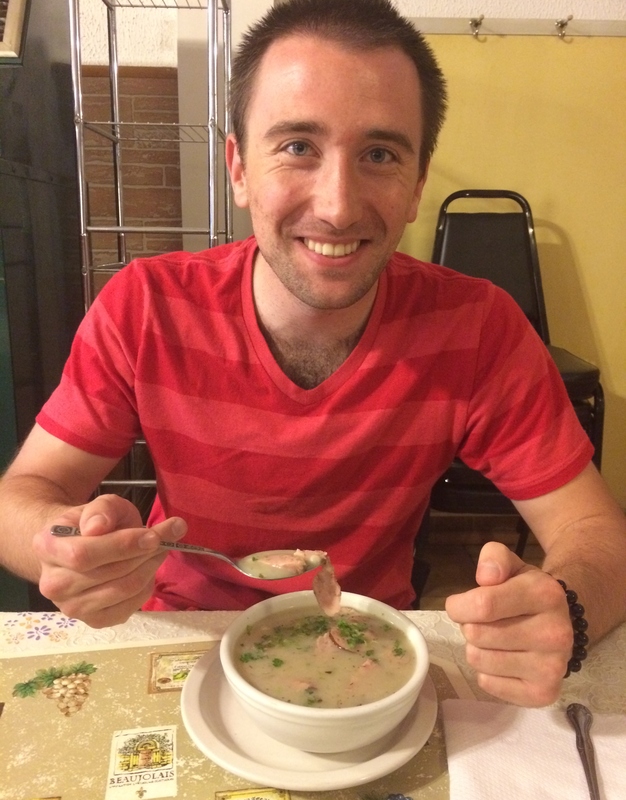 Typically, my family and I enjoy classic Polish dishes like pierogis, kielbasa, kapusta, and kolaczki at family celebrations, and I’ve visited some great Polish restaurants in my grandparents’ neighborhood by Midway Airport. 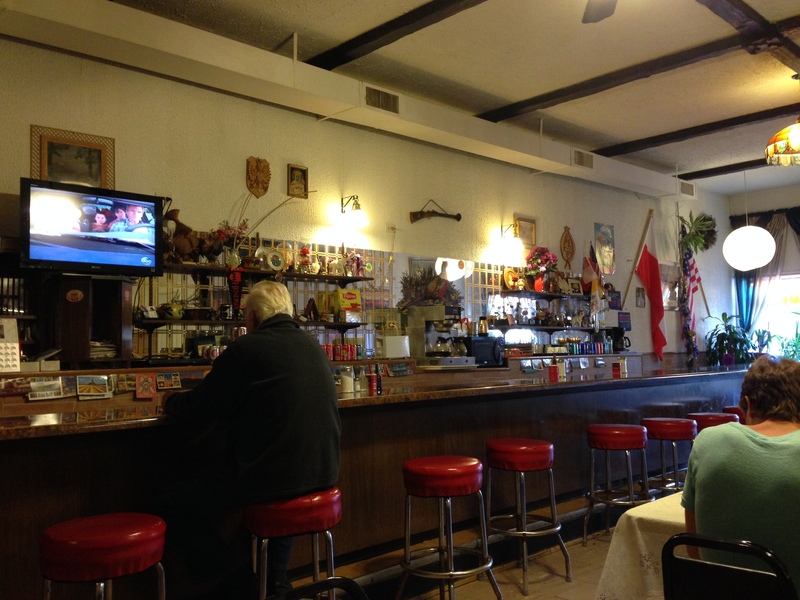 However, they seemingly can never make (insert food here) as well as babcia (grandmother), but I recently visited a Polish restaurant that made it feel like you’re sitting in your babcia’s kitchen. 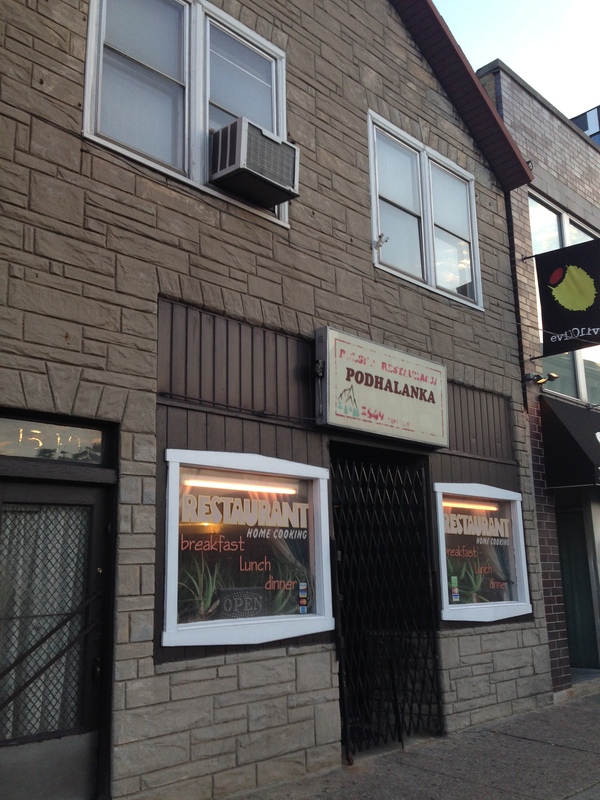 The place in question is called Podhalanka located in the Polish Triangle area on Division. The outside looks more like a place you’d come to get keys made than a restaurant. 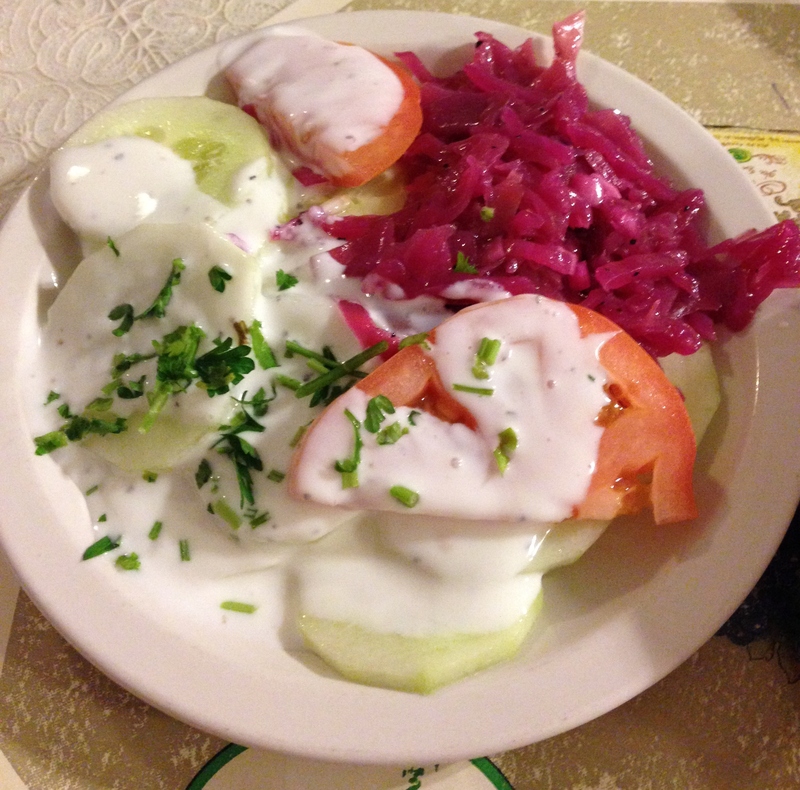 My girlfriend had never been to a Polish restaurant, so I was honored to bring her somewhere to get a taste of my culture. We walked through the door to find a spartan interior that had a bar and plenty of long tables covered in plastic, Kmart tablecloths. In typical Polish fashion, there was no inanely grinning hostess at the front to greet us. Instead, there was a gruff looking woman in an apron who mumbled something when we walked in. We then scanned each other to see if she spoke English and I Polish. I just said “Table for two”, and we had our pick of seats. She gave us menus slower than other customers for some reason. Looking over the selection, I could tell that this stuff was no-frills and just like what I saw in the motherland when I visited Krakow. While I wanted to go for my comfort zone with a dish like gołąbki (literally: pidgeons, really stuffed pork cabbage rolls) or kotlet schabowy (breaded pork cutlet), I knew I had to get the zurek (white borscht) ($3.80) and sztuka miesa w sosie chrzanowym (boiled beef with horseradish sauce) ($10.50). The curmudgeon of a woman who greeted us at the door, who I assumed was the owner, took our orders quite quickly. Janice ordered her food, the pieczen wieprzowa (roast pork) ($10.50), but then the old woman was suddenly aglow when I properly pronounced each of the choices for my order. Looks like I still got skillz. The old woman said ok, and I thanked her in Polish which she appreciated. While we were waiting, I looked at all of the random Polish souvenirs and cultural artifacts referencing various parts of Polish culture like the newly sanctified Karol Wotyla a.k.a. Pope John Paul II, the Polish white eagle, and the black Madonna or Our Lady of Czestochowa. My zurek came out first, and I was pumped. 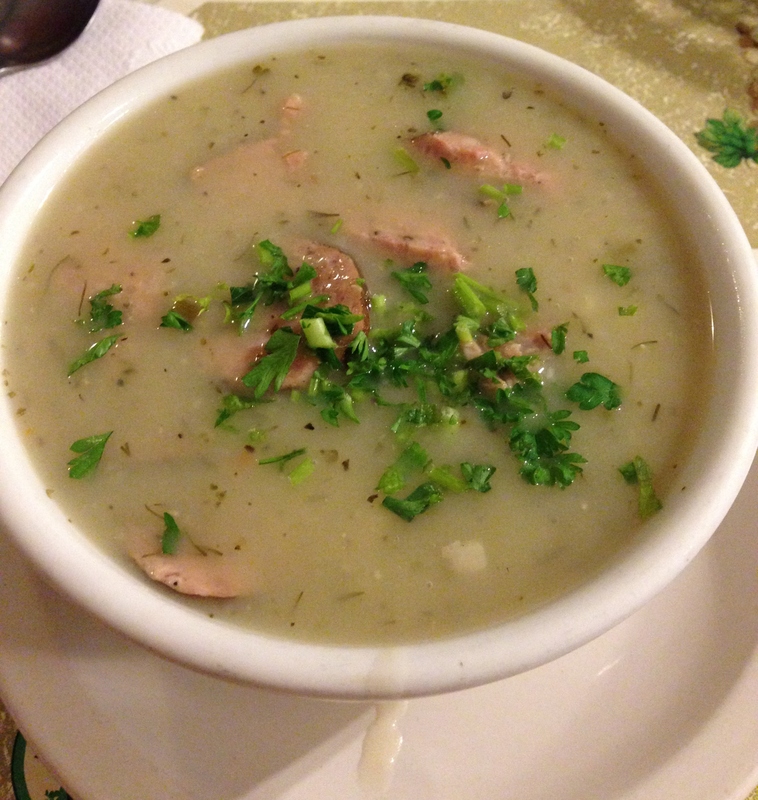 It was a translucent broth punctuated with small bits of dill floating on the surface and large chunks of sausage bobbing in the tasty sea. 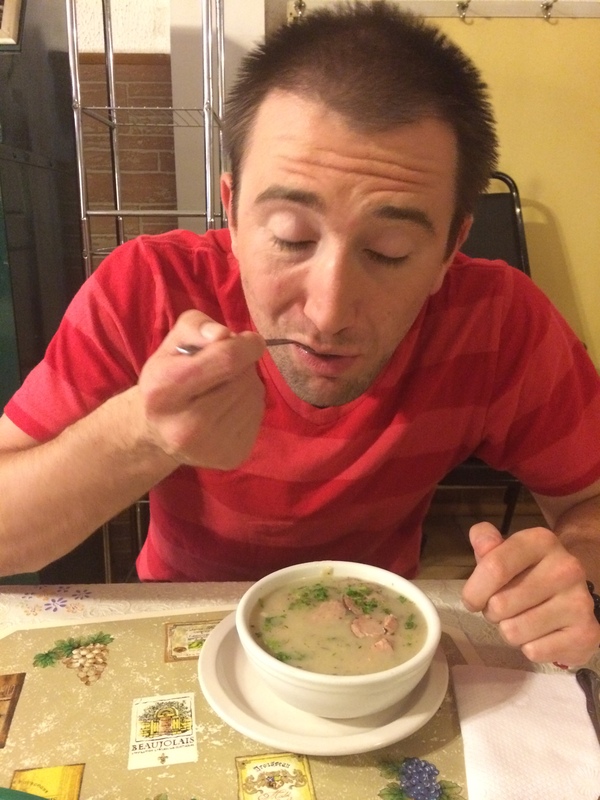 From the first to the last gulp, I loved this piping hot bowl of goodness. The broth itself was sour and meaty yet tinged with a dill bite I really enjoyed. As for the disks of kielbasa, they were substantial, flavorful, and plentiful throughout the bowl. While I was enjoying this super soup, we also got a basket filled with slices of white rye bread. It was a slice (pun intended) of the restaurants in my grandparents’ neighborhood complete with the little packages of butter. The bread crusts were especially helpful when used to mop up some of the soup. While I was midway through my soup, she brought out a salad complete with the basic vegetables used in 90 percent of Polish recipes bar cabbage and potatoes. It wasn’t anything spectacular with the cucumbers and tomatoes slathered in a semi-sweet dressing and a purple pile of pickled beets on the side, but all of the ingredients were really fresh. My personal favorite were the pickled beets since they were super tangy. Right as we finished the salad, our main entrees finally emerged. Both of our dishes looked similar in the fact that they were large pieces of meat slathered in a gravy or sauce with a side of mashed potatoes. After that, the commonalities ended. Janice’s roast pork didn’t taste like much, but my boiled beef had a life of its own. The beef was extremely tender and thankfully enhanced with the feisty horseradish sauce with a slight sinus-clearing kick in each forkful. Said sauce extended to the mashed potatoes, and I use the term “mashed” in the loosest sense. 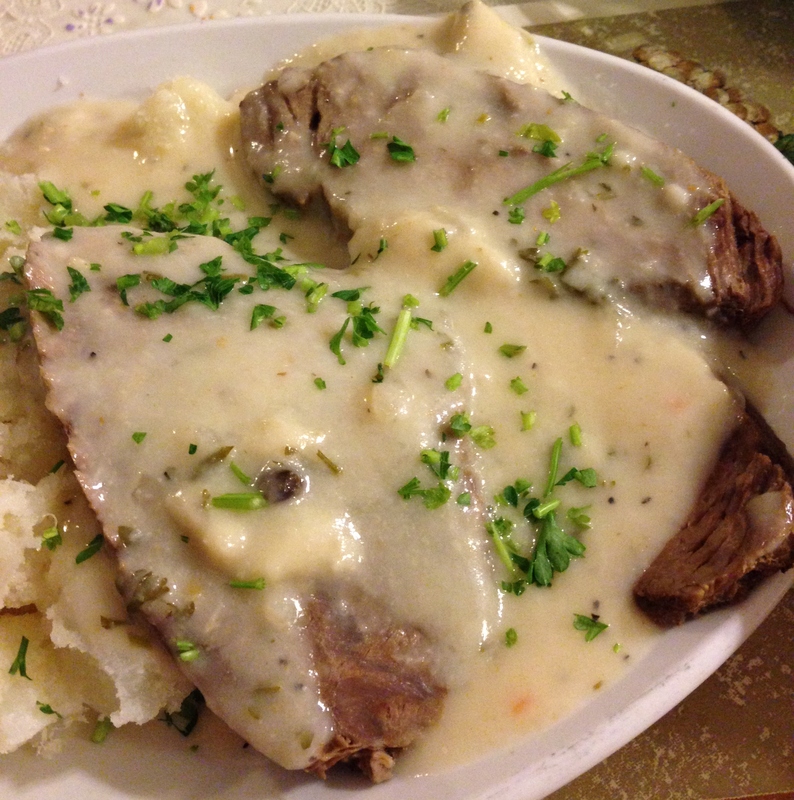 It was more like semi-clumped potatoes, but like the beef, there were no seasonings to be had here aside from the horseradish sauce. Either way, it was a hearty meal that made me think of home. I’d like to go back there to try some of the pierogi or perhaps some potato pancakes. I paid the bill, and I saw that I got charged for the soup and salad, but Janice did not for her salad. Perhaps the old lady was kind hearted after all and made my visit complete. So, if you’re on the northside and want to try some great, down-home Polish cooking at reasonable prices, check out Podhalanka. The service might be a bit brusque, but you’ll just have to trust babcia on this one.